Santa Rita Asistencia is a company dedicated exclusively to the care of patients and their environment. Founded in 1988 by Marisa de Gracia, with an age of more than 25 years, caring for different generations of a family, serving grandparents, parents and children. 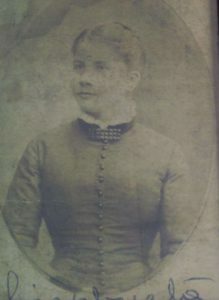 Marisa de Gracia is a great-granddaughter of Felisa Riambau i Gatell, who, due to her commitment and character, at age 23, on 28 March 1884, became the first matron woman with an official degree from the University of Barcelona. Delivered in official ceremony by S.S.M.M. Alfonso XII. 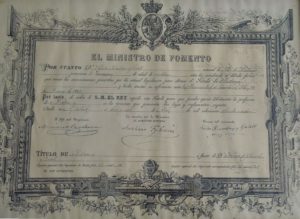 In the beginnings, in which Felisa, in her role of midwife, was traveling on horseback throughout the region of Tarragona, families used to “pay” services in kind, rather than money. And she used to entrust herself, especially in the difficult births, to Santa Rita. An image that he venerated and carried with him. And that, to this day, is conserved among the treasures of the family. With the spirit of Felisa, deeply rooted in the family, her vocation, her tenacity, and her extensive experience in caring for people, Marisa decided to create a company in which to put all her knowledge and skills at the service of people. With the name of Santa Rita, in memory of his great-grandmother. With a clear vision of professionalism and excellence in the treatment. Vision that, to this day, remains as the foundation of our ideals. Carried to the present by Judith Cobo. A new generation in Santa Rita Assistance, since 2009 when he took over the management.